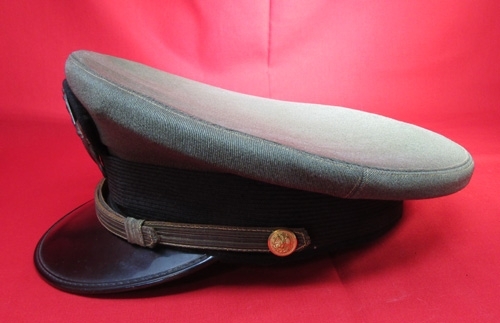 Item #48611 : Original era manufacture. 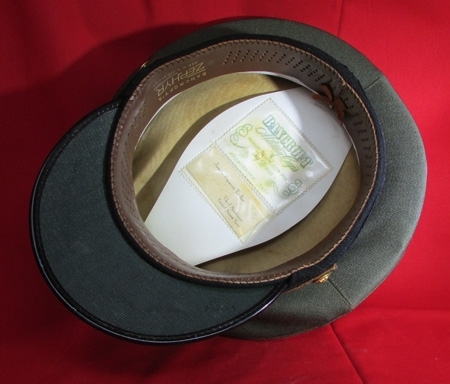 A good quality private purchase hat with a green top and blue wool band. 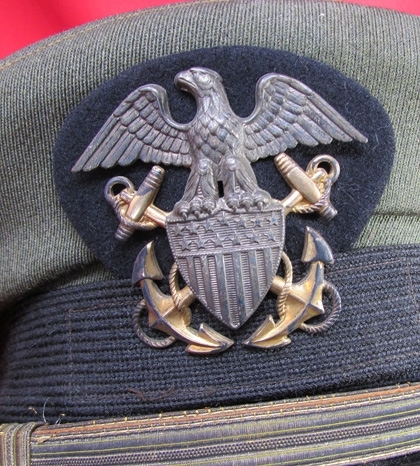 Affixed to the front of the hat is a two-piece regulation US Navy officers hat insignia, which has a nice silver toned eagle. 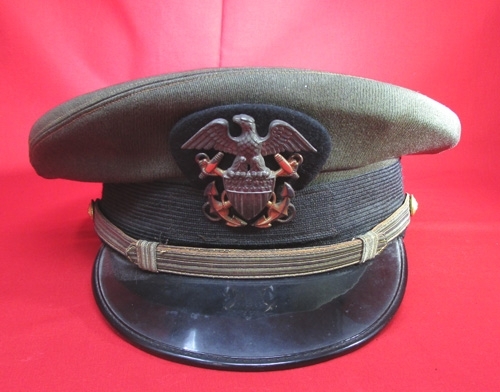 I have not removed the eagle to check and see if it is sterling marked. 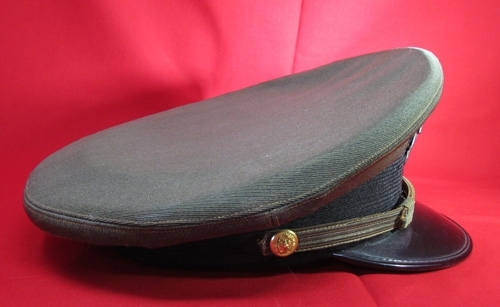 Size about a 6 3/4Bound black plastic visor with no issues, soundly stitched ventilated leather sweatband, with a white oilcloth sweatshield. 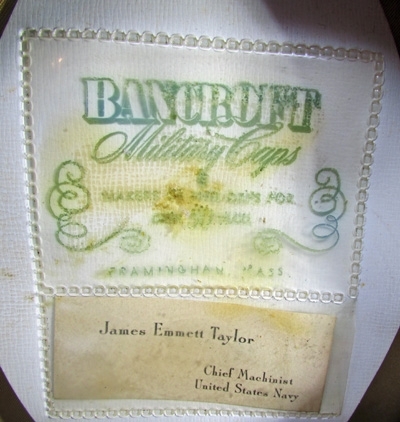 Card inside the shield for James Emmett Taylor, Chief Machinist, United States Navy. 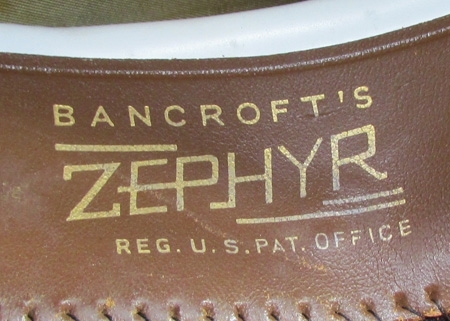 Sweatband stamped Bancroft's Zephyr.A quick look on Ancestry shows a James Emmett Taylor serving aboard USS Prairie 31 March 1942-28 February 1943, and USS Pastores 7-31 July 1944. Good potential for further research.